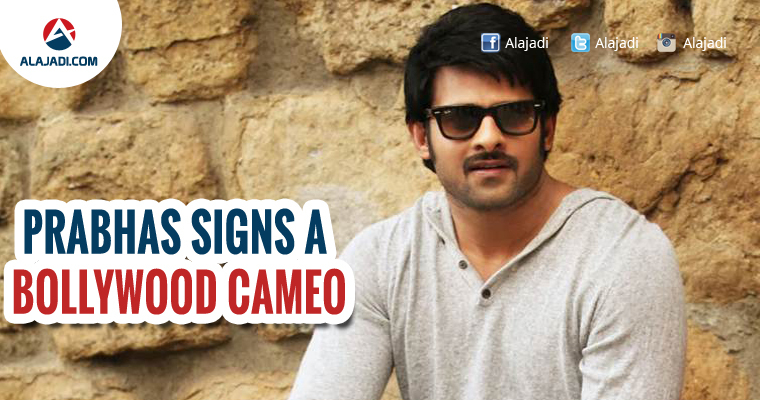 » Prabhas Signs a Cameo in a Bollywood movie? Young Rebel Star Prabhas got international fame after the release of SS Rajamouli’s magnum Opus Baahubali. Now, Bollywood is waiting for Prabhas straight Hindi Film. According to the latest news, Actor may accept a guest role in a Bollywood movie ‘Khamosh’ starring Prabhudeva, Tamannaah and Bhumika Chawla in lead roles. This film is said to be a remake of Tamil blockbuster Kolaiyuthir Kaalam. Tamannaah and Prabhas are good friends, and he is more than happy to do anything for his close friends. It’s a special appearance which will enhance the story, the source reveals. The film is directed by Khamoshi and produced by Vashu Bhagnani and Deepshikha Deshmukh. 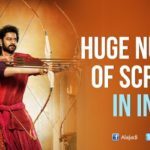 Before Baahubali 2, Prabhas did a cameo appearance in Prabhudeva’s Bollywood directorial film Action Jackson in a song for a few seconds. Now, Everyone waiting to look forward to see, Prabhas in this new guest role. Previously, Prabhu Deva also asked Prabhas to dance in one song from his Action Jackson but that did not become much popular. Now, with Baahubali success, Khamoshi could benefit from the actor’s presence. Vashu Bhagnani and Yuvan Shankar Raja are producing the movie in Tamil and Hindi. Currently, Actor is busy with upcoming film Saaho which is simultaneous made Telugu, Tamil, Malayalam and Hindi. Saaho is an action entertainer, directed by Sujeeth fame of Run Raja Run. It is being made on the lavish budget of Rs 150 Crore. It is produced by Pramod and Vamsi of UV Creations. Musical trio Shankar-Ehsaan-Loy will score the music and Hollywood stunt master Kenny Bates of ‘Transformer’ will choreograph the action sequences. The film is slated to release in early 2018.